Finding a book covering Adobe Photoshop for your exact needs can be daunting. With so many authors and different topics from art design and layout to retouching and restoration it is hard to find a single book that covers everything a Photographer is looking for. Martin Evening attempts to provide a photographer a one stop book for everything a photographer needs in his latest book. 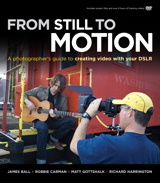 While the book is structured to imply that even a beginning user of Photoshop will be able to dig right in, the book covers many subjects in significant technical detail that assume you have some previous knowledge of the ins and outs of digital photography, graphics, and a basic knowledge of your way around Photoshop. This book takes a format where Joe presents an image and then talks about how he created it. It includes small sketches, thoughts on techniques, and basic equipment information. However, this is not an instruction manual. I recently had a chance to read through Harald Woeste’s book Mastering Digital Panoramic Photography. 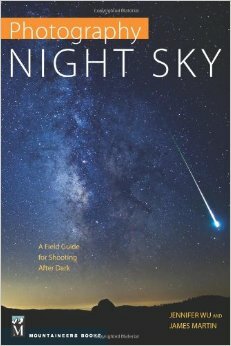 I found the book to be a good primer on panoramic photography techniques. It covers the photographic equipment you’ll need, a section on software, and an interesting set of real world example projects at the end of the book.